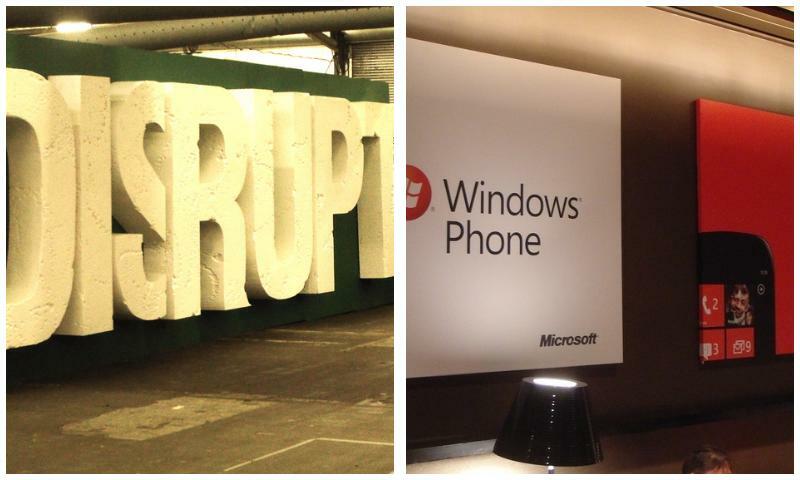 Last week I was in New York City to attend TechCrunch Disrupt and Microsoft’s event to officially unveil the next update to Windows Phone 7, codenamed Mango. TechCrunch Disrupt was my first interaction with the New York startup scene and it was encouraging. However, as I quickly realized, pretty much all startups that had a mobile app were releasing an iPhone app first, followed by Android. There was no Windows Phone 7. In my opinion this is a challenge for Microsoft, knowing the efforts Charlie Kindel and Brandon Watson are putting into building the developer ecosystem, apps devs are still focusing on iOS & Android. If Microsoft’s internal thinking is that these entrepreneurs will do WP7 versions once they Microsoft has users, it will be too late. Instead, Brandon Watson and team should be working with incubators and get new startups work on WP7 versions for their apps. This brings me to Microsoft’s partner Nokia and their plans. Recently there were reports that Nokia will be launching their own app store for Windows Phone 7. My first reaction was that this would result in a mess and lead to what is now commonly known as fragmentation. Separate app stores by OEMs, variety of chassis specs and we will be back to the Windows Mobile problem. With WP7, Microsoft showed promise whereby they will have stringent control over the experience and OEMs. But now that seemed like a distant dream if Nokia decided to do a separate app store. How would this work? Will app devs have to submit their apps to the Windows Phone marketplace AND Nokia marketplace? Will they have to pay Microsoft AND Nokia to register as devs? How different will these apps be to be compatible with other OEMs? How different will Nokia’s terms be to Microsoft’s? Several question pop into my head and honestly, I or any user shouldn’t have to think about these questions. As a consumer I should have one place to go to buy apps and as a developer I should have to submit my apps at one place for one platform. @ms_nerd tweeted that the Nokia statements were misquoted and Nokia will have an app section in the Windows Phone 7 marketplace just like other OEMs. If Nokia does plan to come up with a unified app store for Symbian and WP7 there is little value for Nokia. It will lead to developer factions and given Nokia’s recent performances, having developers make apps exclusively for Nokia WP7 handsets isn’t exactly lucrative when they can make apps according to the chassis specs and sell those apps for all WP7 phones. As I wrote previously, for high end smart phones, Nokia should bring their hardware expertise on the table and let Microsoft handle the software and app distribution. As far as feature phones are concerned, Nokia can continue using and abusing Symbian as they see fit.